ElixirForum strives to provide a safe online space for all members of our community and is committed to providing an environment that encourages engagement. For a specific breakdown, please see the section: ‘Discussion Area Rules - Posting’, or for a more informal note, please take a look at our Mission Statement in the announcements section of our forum. Please also note that Moderators are normal members who have volunteered to help ‘moderate’ user submitted comments and posts. If you have a problem with a moderator action, you may make a complaint to the Admin directly by using the contact form. Do not make it publicly on the website. We are not perfect and if you feel that we have made a mistake, please contact us via the appropriate channels and we will review the situation. Please also be aware that multiple login accounts are not allowed. By choosing to use ElixirForum.com, you agree to be legally bound by these terms which shall take effect immediately on your first use of ElixirForum.com. If you do not agree to be legally bound by all the following terms please do not access and/or use ElixirForum.com. You understand that ElixirForum may change these terms at any time. You agree to review these terms regularly to ensure that you are aware of any changes made. You agree to read and if required, abide by/to all Announcements/Rules posted in the ElixirForum forums, Chat Rooms or any other part of the ElixirForum site. These terms also apply to the use of any of ElixirForum’s sister sites. You agree to use ElixirForum.com only for lawful purposes, in a way that does not infringe the rights of, inhibit or restrict anyone else’s use and enjoyment of ElixirForum.com. You agree not to post or submit any abusive, obscene, vulgar, slanderous, hateful, threatening, sexually-oriented or any other material that may violate any applicable laws. Doing so may lead to you being immediately and permanently banned (and your service provider being informed). Prohibited behaviour also includes harassing or causing distress or inconvenience to another member, or disrupting the normal flow of dialogue within ElixirForum.com. You may not adapt, alter or create a derivative work from any ElixirForum.com content except for your own personal, non-commercial use. Any other use of ElixirForum.com content requires the prior written permission of ElixirForum. You may not copy, reproduce, republish, post, broadcast, download, transmit, make available to the public, or otherwise use ElixirForum.com content in any way except for your own personal, non-commercial use. waive any moral rights in your contribution for the purposes of its inclusion on ElixirForum.com. 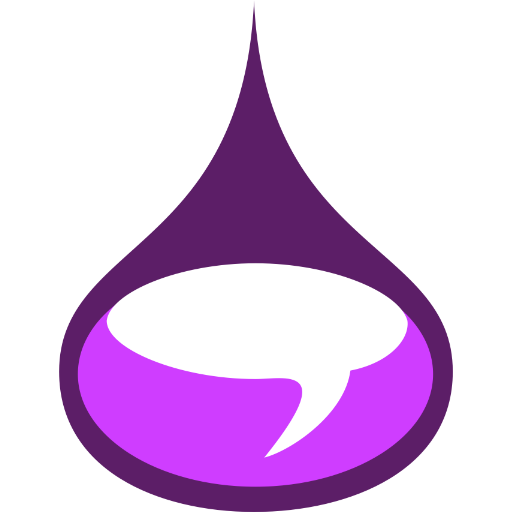 You agree to use ElixirForum.com Discussion Areas (which henceforth refers to all Message Boards, Online Chat Rooms and Discussion Forums associated with ElixirForum.com) in accordance with the following Discussion Rules. If you post or submit any inappropriate content or otherwise engage in any disruptive behaviour on ElixirForum.com, and ElixirForum considers such behaviour to be serious and/or repeated, ElixirForum may use whatever information that is available to it about you to stop any further such infringements. This may include informing relevant third parties such as your ISP (Internet Service Provider) about the infringement/s. ElixirForum reserves the right to delete any contribution, or take action against any account, at any time, for any reason. You may not submit any defamatory or illegal material of any nature, this includes graphics, text, programs, video or audio. Submitting material with the intention of committing or promoting an illegal act is strictly prohibited. You agree to only contribute materials which are your own original work. You must not violate, plagiarise, or infringe the rights of third parties. The views expressed in ElixirForum.com Discussion Areas are those of members of the public and are not necessarily those of ElixirForum. If you are under 16 (but over 13) please obtain a parent or guardian’s permission and supervision before reading/taking part in any ElixirForum.com Discussion Area. You may only register/take part in ElixirForum, unsupervised by a guardian, if you are over 16. We do not accept registrations from under 13’s. All names, images and logos identifying ElixirForum or third parties and their products and services are subject to copyright, trademarks and design rights of ElixirForum and/or third parties. Nothing contained in these terms shall be construed as conferring by implication, estoppel or otherwise any licence or right to use any patent, trademark, design right or copyright of ElixirForum or any other third party. Under no circumstances will ElixirForum be liable for any losses or damage (whether such losses were foreseen, foreseeable, known or otherwise) including but not limited to: loss of data; loss of business; loss of revenue or anticipated profits; loss of goodwill or injury to reputation; loss of opportunity; losses suffered by third parties; or any indirect, consequential, special or exemplary damages arising from the use of ElixirForum.com regardless of the form of action. ElixirForum.com content, including all names, information, directory listings, articles, pictures, images, logos and icons regarding or relating to ElixirForum, its products and services (or to third party products and services), is provided “AS IS” and on an “IS AVAILABLE” basis without any representations, recommendations or any kind of warranty made (whether express or implied by law) to the extent permitted by law, including the implied warranties of satisfactory quality, fitness for a particular purpose, compatibility, non-infringement, accuracy and security. ElixirForum does not warrant that functions contained in ElixirForum.com content will be uninterrupted or error free, that defects will be corrected, or that ElixirForum.com or the server that makes it available are free of viruses or bugs. If there is any conflict between these terms and specific terms appearing elsewhere on ElixirForum.com then these terms shall prevail.